Popp Dentistry strives to provide the best treatment for their patients. Whether you were referred or found them yourself, they promise to make a positive impact on your smile. 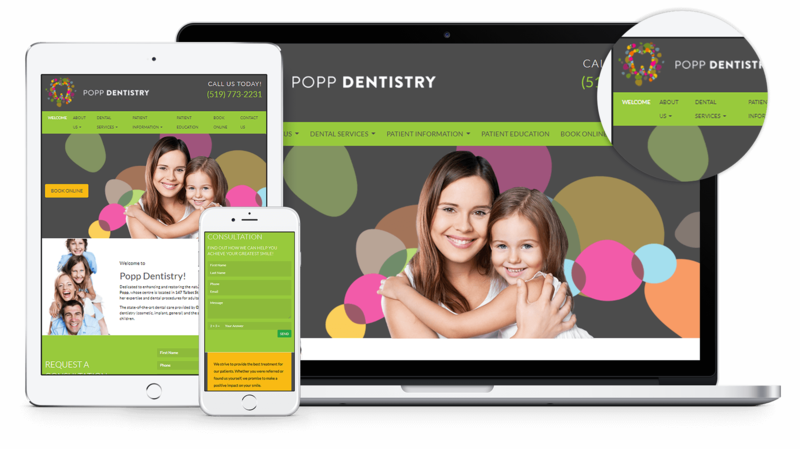 We are pleased to announce the brand new website for Popp Dentistry! Popp Dentistry strives to provide the best treatment for their patients. Whether you were referred or found them yourself, they promise to make a positive impact on your smile. The website is an absolutely fun and attractive layout with very beautiful colours and attractive design. It is very user-friendly platform based website that can be accessed on your smartphone, tablet or computer. Patients can book their appointment through the actual website, they can educate themselves on terms and procedures, they can get directions directly through the website to know the route to take towards the practice and you can read on Popp Dentistry`s services from the website itself as well. Overall this website is very well put together and very pleasing on the eye.